The farmers in India now have a better crop planning tool at hand. All they will need to do is to take to a simple crop planning tool and avoid the risk of crop failure. Mid 2018, AgroStar, an agrotech start-up is working with IBM’s The Weather Company to help the Indian farers make informed decisions for better crop output. The aim is to help small marginal farmers with data they can use. This will reduce the chances of crop failure and related bankruptcy that most farmers face today. “We are very excited to deliver at scale, near precision agriculture practices to small and marginal farmers in the country by combining our agronomy expertise and on ground farmer data with The Weather Company’s hyper local weather capability and robust disease prediction algorithms” said Shardul Sheth, Co-founder of AgroStar. The aim is to provide clear insights to the farmers through AgroStar’s voice and digital platform on crop disease risks, and probability of occurrence of a particular pest or disease. According to Sheth, the new solution provides very high levels of accuracy in crops like cotton, potatoes, chili, etc and has the potential to increase crop yield and reduce the extent of crop damage. So how does AgroStar develop the insights? The company has already acquired a large and accurate database of farmer profiles that comprise data points like crops sown, land size, land type, irrigation facilities, along with agronomic profiling of farms and the ability to determine crop life cycles. “These inputs are combined with The Weather Company’s disease and pest forecast algorithms and datasets to equip farmers with the information they need for effective management at every stage of the crop,” added Sheth. This will help farmers take proactive steps towards effective crop management versus addressing problems reactively post-occurrence. This pre-emptive and scientific method of pest and disease management will lead to the reduction of production costs and the growth of good quality crops. “With hyperlocal weather insights from The Weather Company, farmers now know when precisely to schedule these interventions. We are excited to partner with AgroStar to address this market,” says Himanshu Goyal, India Sales & Alliances Leader at The Weather Company. It is a private weather enterprise, helping people make informed decisions –and take action –in the face of weather. The company offers the most accurate, personalized and actionable weather data and insights to millions of consumers and thousands of businesses. According to Sheth, AgriStar’s aim is to promote progressive farming through digital solution. He feels, that most farmers fail today because of the lack of quality inputs and proper agronomy advisory guidance to the farmers. The solution from AgroStar will use APIs and Digital Solution from The Weather Company to develop crop health insights. “We will provide accurate advisory services through the AgroStar platform that connects with more than 1 million farmers across the states of Maharashtra, Gujarat, and Rajasthan. This collaboration will have a direct positive impact on input costs, crop yield, and farmers’ income, thereby making a significant contribution to Indian agriculture,” explained Sheth. 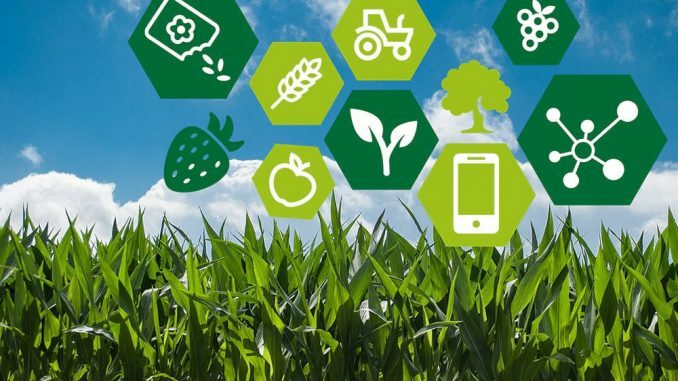 Modern agriculture is impressively complex and technologically sophisticated, and is becoming more so with the introduction of a wide array of sensors. The sensors we have today (whether video, hyperspectral or infrared) allow us to understand many of the conditions of plants in the field. The sensors can be based on different platforms, from satellites and high altitude aircraft to smaller drones that are flown and controlled locally, to permanent sensors mounted on structures that overlook the field. The data from these sensors is used to understand the spatially-resolved field conditions and how the crop is progressing. Interpreting sensor data and the spatial distribution can be used to determine how the field should be managed to achieve the best yields, and where and when to harvest the crops. Drones also have great potential – they’re just getting started. Because they can get right to where the action is, drones can be used to fly instruments that would not fit or work on satellites. An example is acoustic sensors used to identify pests and animals, data that’s not possible to gather from satellites. A drone can also pick up a soil or plant sample that a satellite cannot. Satellites also play a huge role in assessing the condition of plants. Firstly, an increasing number of satellites use high resolution sensors – both optical and hyperspectral – to improve techniques for interpreting sounding data. There are also many more low Earth orbit (LOE) satellites, whose arrays provide much better coverage, both geographically and in field re-visit rates. The second role is as communications relays for ground sensors in sparsely-populated and under-resourced areas. What works is miniaturized integrated sensors that are low-cost and can be placed on individual plants is one direction we could see. It all depends on how the cost can be reduced enough to match the economics of farming. When we talk of the key technological advancements that would allow for the creation of cheap, miniature sensors, we need to mention the use of basic components from consumer electronics where large markets drive economies of scale. The best examples are cheap cameras that now cost a few dollars because of smartphone production volumes, accelerometers from MEMS technologies, and other developments that come from system-on-a-chip (SOC) design and manufacturing techniques.